Before he had put his teen years behind him, Robert A. Siegel had become a full-fledged stamp dealer with his own stamp counter in the rear of an S.S. Kresge Co. dime store at 31st and Troost in Kansas City, Mo. By 1931, when he was still only 18 years old, he had moved to New York City where he would establish himself as one of the great legendary dealers and auctioneers in the formidable “world center” of philately. In the early 1930s, Siegel became fast friends with other well known dealers—including Herman “Pat” Herst with whom he would regularly compete to buy collections of U.S. material. They were good friends and competitors, especially when Siegel started the auction firm that bears his name. Herst recounts some of the episodes in his and Siegel’s early careerin his best-selling book, Nassau Street, published in 1960. 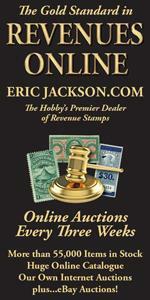 The signal accomplishment of the Siegel auction firm was the continual and unabated handling of some of the world’s greatest philatelic properties. In 1970, for instance, he auctioned the British Guiana Penny Magenta, the World’s Rarest Stamp, at a glittering event at the Waldorf-Astoria Hotel on Park Avenue—an auction widely covered by the international media. Included in his firm’s stellar array of major auctions of key properties were the collections of Josiah K. Lilly, Clifford C. Cole, Jr., the Honolulu Advertiser Hawaii property, and the holdings of Clarence Brazer and Saul Newbury. 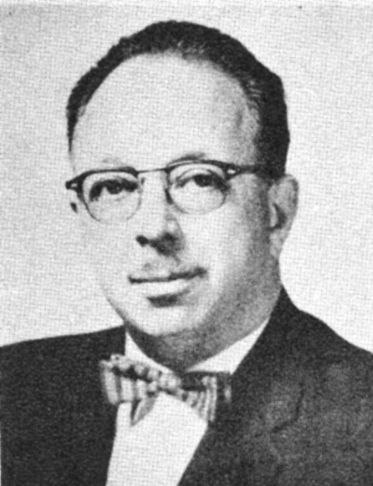 Siegel served as board member, vice president and president of the American Stamp Dealers Association, the latter role in 1962-63. Behind the scenes, Bob Siegel was a continual helpmate and contributor to philately’s causes—including gifts to a number of organizations, including the American Philatelic Society. Siegel never forgot his Kansas City roots. Over a span of many years, he would either travel to the annual KC stamp show (MIDAPHIL) just to meet up with old friends, or send his own personal exhibit of United States inverted centers (including the Jenny) to add some prestige to the show’s exhibit frames. Siegel passed away suddenly in 1993, and was succeeded by Scott Trepel, who today heads the firm that bears his predecessor’s name. The legacy of Robert A. Siegel is well assured.